When it comes to CEOs of major automakers, few are as passionate about driving and racing as Toyota head Akio Toyoda. We have him to thank for the Scion FR-S, and we’re pretty sure that Toyota will build other sports cars in the not-too-distant future under Toyoda’s urging. Toyoda is an accomplished racer, too, so it was hardly out of character for him to bring along a Nomex suit on a recent trip to Daytona. Kyle Busch got the honor of riding shotgun as Akio Toyoda himself ran a few hot laps around Daytona before posing with fans and guests in the paddock. 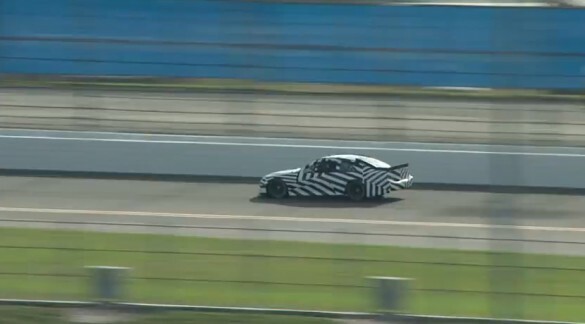 As Autoblog points out, Toyoda was driving a prototype of the 2013 NASCAR Sprint Cup Camry, expected to debut next season if approval is granted. We give Toyoda a bow of respect for his efforts: it’s one thing for a CEO to drive new road-going models, but it’s something else entirely when the head of a company can competently shake down a race car at speed.